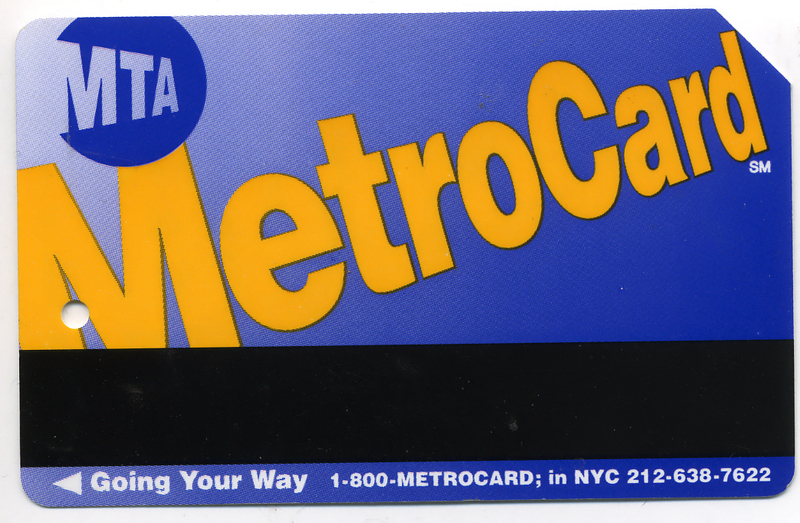 Hands up if you can name the year of the debut of the MetroCard–1993. Some context: when the subway started to transport New Yorkers, paper tickets were first used. The next incarnation of the fare was a nickel coin that allowed you to operate the turnstile, and when the fare went up to 10 cents in 1948, the turnstiles were adapted to accept dimes. But then the fare rose again in 1953 to 15 cents, and engineers could not convert turnstiles to accept combinations of nickels and dimes, or three nickels. 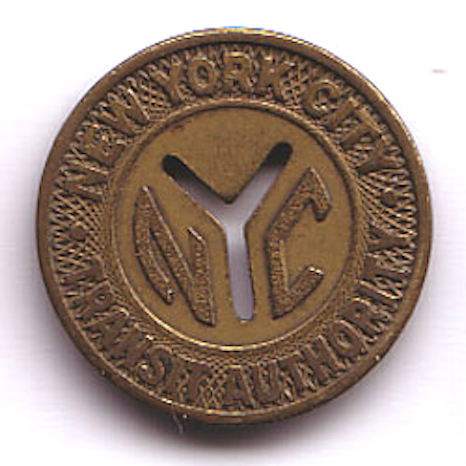 So the subway token was born, and was re-designed over the years as the fare slowly inched upwards. Bonus points if you remember that the first MetroCards were blue, not yellow. 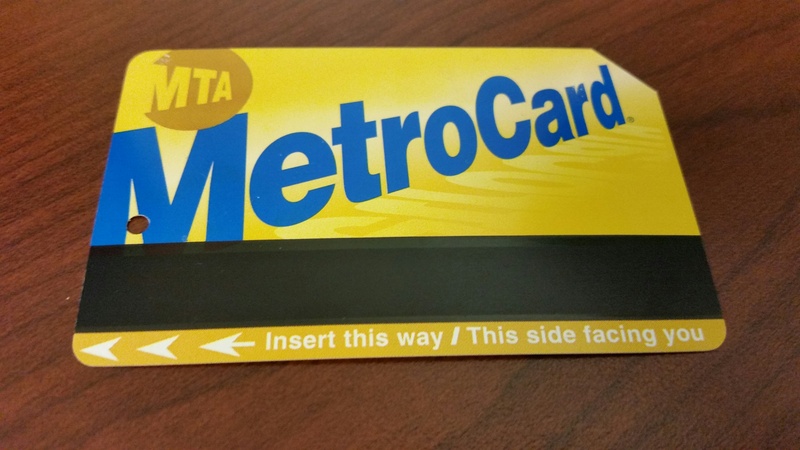 The thin plastic card that was released in a testing mode in 1993 allowed subway passengers to swipe themselves through the turnstiles. 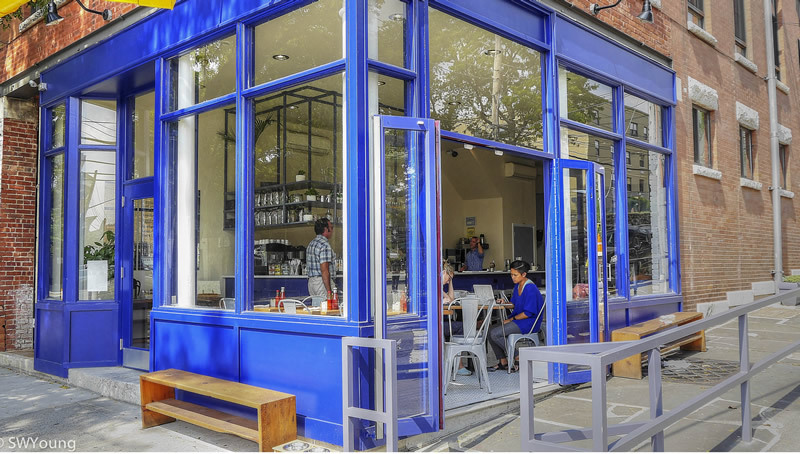 But you couldn’t use the card everywhere: It was 1997 before all of New York City’s buses and subway entrances were updated to accept MetroCards. 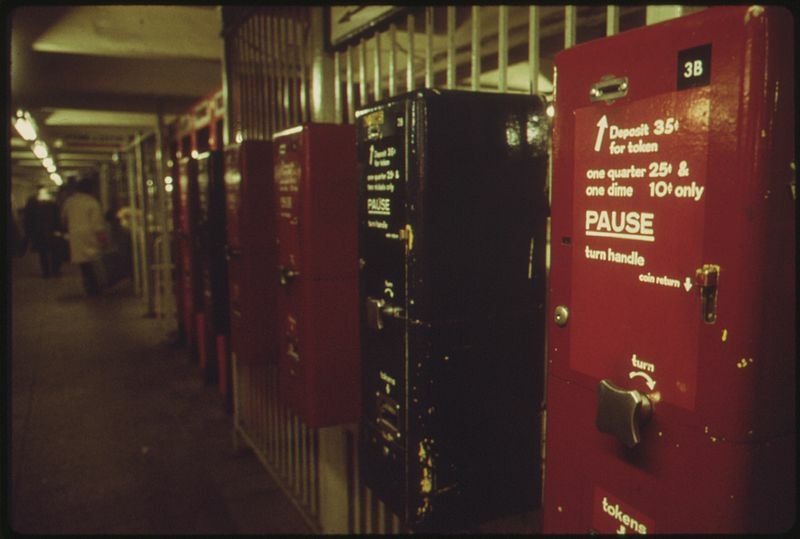 There was originally some spirited resistance on the part of New Yorkers who complained about MetroCard readers that often seemed to malfunction and who preferred the little plastic bag of tokens that lived in their pocket or purse. But in 1997 (when the card was changed to the familiar yellow), free train to bus transfers were introduced, followed by sweeteners in the form of free bonus rides and unlimited ride cards. 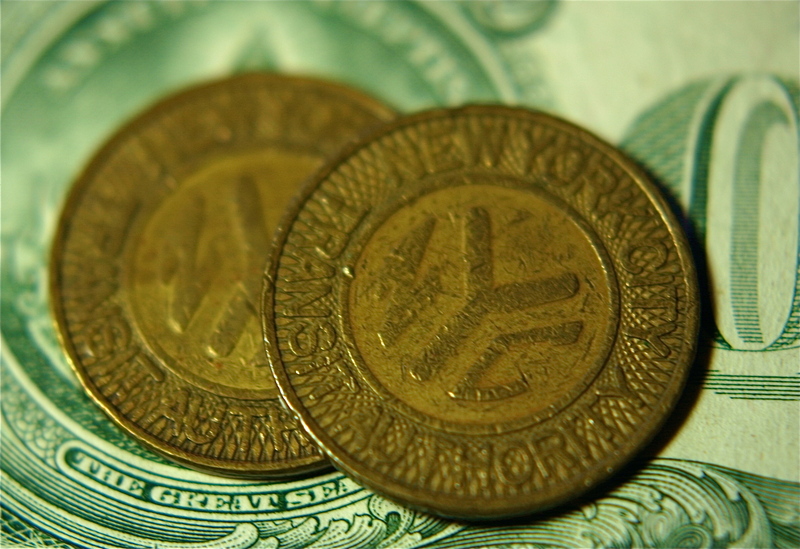 By 2003, when the subway token was retired, only an estimated 8% of riders were still resisting the MetroCard. 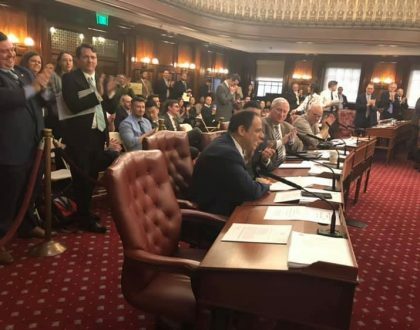 And now the MetroCard too will be phased out, although gradually. 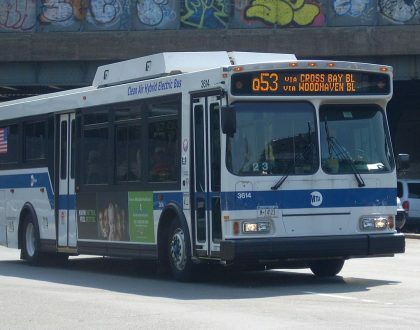 The MTA plans to introduce a new fare payment system similar to that currently used in London’s Underground and buses, where riders wave their credit cards or phones at a reader to swipe themselves on board. 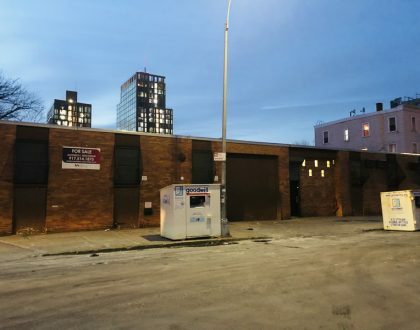 Beginning in late 2018, new electronic readers will be installed in 500 subway turnstiles and on 600 buses in New York City, and will trickle through to the rest of the city’s subway stations and buses by late 2020. The new system will replace the MetroCard, but you can still continue to use MetroCards until 2023. Anyone who has ridden London Transport knows it takes a little brainwork to figure out your fare: the further you ride, the more you pay. At this point, MTA chair Joe Lhota says that New York City will remain a single-fare town. Time will tell, but one thing is for sure: whether you are paying via token, MetroCard or smartphone, the cost of a subway ride in the Big Apple defies the law of gravity: it always goes up, and never comes down.